[caption id="attachment_114580" align="alignright" width="150"] Lesley Nneka Arimah and Riverhead Editorial Director Becky Saletan[/caption] This is the latest in a dizzying list of accolades for Lesley, including being named winner of a 2017 Kirkus Prize, a 2017 National Book Foundation “5 Under 5” honoree, a 2017 National Book Critics Circle finalist, and a 2018 finalist in the Society of Midland Authors. Congratulations to Lesley and everyone at Riverhead. Founded in 2001, the Young Lions Fiction Award is given annually to an American writer age 35 or younger for either a novel or collection of short stories. 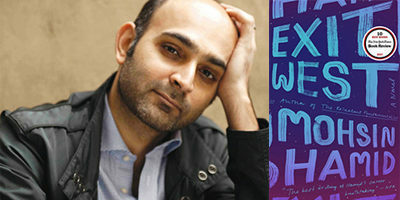 Each year, five young fiction writers are selected as finalists by a reading committee of writers, editors and librarians. Riverhead author Lesley Nneka Arimah shares her award-winning, dazzlingly accomplished debut story collection, WHAT IT MEANS WHEN A MAN FALLS FROM THE SKY, at The Strand in Manhattan on Monday, April 23. Lesley will discuss her stories with fellow author Alice Sola Kim, from 7:30 to 8:30 pm, in the bookstore’s second floor Art Department. Arimah’s stories explore the ties that bind parents and children, husbands and wives, lovers and friends, to one another and to the places they call home. The New York Times Book Review offered high praise: “Strange and wonderful… a witty, oblique and mischievous storyteller, Arimah can compress a family history into a few pages and invent utopian parables, magical tales and nightmare scenarios while moving deftly between comic distancing and insightful psychological realism…her science fiction parables, with their ecological and feminist concerns, recall those of Margaret Atwood. But it would be wrong not to hail Arimah’s exhilarating originality: She is conducting adventures in narrative on her own terms, keeping her streak of light, that bright ember, burning fiercely, undimmed.” Lesley Nneka Arimah was born in the UK and grew up in Nigeria and the United States. Her work has received grants and awards from the Commonwealth Writers, the Elizabeth George Foundation, The MacDowell Colony, Breadloaf and others. 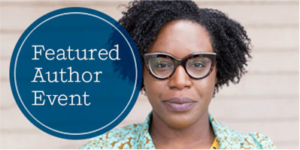 She was selected for the National Book Foundation’s “5 Under 35” honor and is the recipient of an O’Henry Award, the 2017 Kirkus Prize, and is a Society of Midland Authors 2017 honoree. 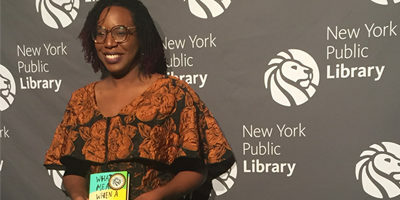 Lesley Nneka Arimah, author of WHAT IT MEANS WHEN A MAN FALLS FROM THE SKY (Riverhead), was recently named the Minneapolis Star Tribune’s 2017 Artist of the Year. 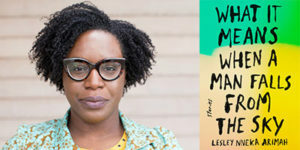 In an admiring announcement article titled “Lesley Nneka Arimah: A Wordsmith Who Spins Magic,” the Star Tribune provides a comprehensive overview of Arimah’s career, sprinkled with high praise throughout, including quotes from Riverhead Editorial Director Becky Saletan, National Book Foundation President Lisa Lucas and fellow Riverhead author Meg Wolitzer. Noting that this debut short story collection “lit up the world of books like a shooting star” and that Arimah is “at the forefront of … some of the most original and interesting fiction and poetry being published today,” the glowing feature celebrates the author as a pioneer in not only Minneapolis’s literary community, but in the artistic one at large. 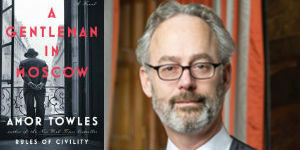 This recognition caps a terrific year for the author, in which she was awarded the Kirkus Prize for Fiction for WHAT IT MEANS WHEN A MAN FALLS FROM THE SKY and she was selected as one of the National Book Foundation’s “5 Under 35” honorees. Read the complete Minneapolis Star Tribune feature on Lesley Nneka Arimah here. 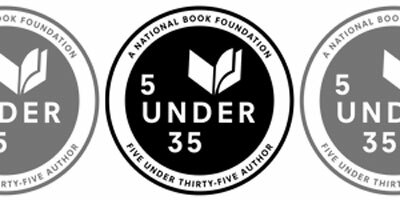 Lesley Nneka Arimah, WHAT IT MEANS WHEN A MAN FALLS FROM THE SKY: Stories (Riverhead Books) Zinzi Clemmons, WHAT WE LOSE (Viking) Leopoldine Core, WHEN WATCHED: Stories (Penguin Press) Weike Wang, CHEMISTRY (Knopf) Warm congratulations to our 5 Under 35 honorees, their editors and publishers. These authors will be celebrated at a ceremony in Manhattan on November 13, two days before this year’s National Book Awards dinner. Each honoree will receive a $1,000 prize. They represent writers from around the world, under the age of 35, who have published their first and only book of fiction—either a short story collection or a novel—within the last five years. 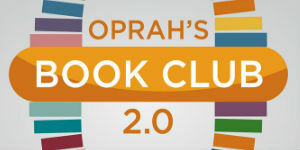 Each author was selected by a National Book Award Winner, Finalist, or writer previously recognized by the 5 Under 35 program. Lisa Lucas, Executive Director of the National Book Foundation, said, “For the last twelve years, the National Book Foundation has been committed to highlighting the exceptional talent of emerging writers and to amplifying new voices. At a moment in which we are having the necessary conversations surrounding the underrepresentation of female voices, it’s a thrill to see this list of tremendous women chosen organically by our selectors.” For more information and a complete list of the 2017 5 Under 35 honorees, click here.